For all you Maybach Music junkies, you’ll be happy to know that the [screaming] man who brought us some of the biggest club bangers and some hard featured verses in the past year or so has finally come full circle and released his debut album: Dreams and Nightmares. When Meek Mill exploded onto the commercial scene with ‘House Party’ through the cosign of label boss Ricky Rozay (you have to say it with the “boss” voice), most (including me, admittedly) took him for a one-hit wonder. He showed all the signs: an infectious single that carried his reputation for an entire year that would come to define his career (or so we thought); a put-on from one of the most dominant forces in the rap game, showing that he wouldn’t be able to stand alone as an artist; generic content and average lyrics, and an annoying knack for screaming through his versus with the emphasis of a pastor. A few features here and there and versus on Maybach music projects (‘Play Your Part’ ft. Wale & Rick Ross, for example) showed some flashes of brilliance and managed to convert a handful of people but it wasn’t until he dropped his mixtape Dreamchasers that people really started to realise that the 25 year-old emcee from Philly could actually be for real. On the tape, though mostly not too deviating from the sound of his singles, Mill displayed impressive versatility: story telling abilities (‘Tony Story’); wordplay; the ability to incite emotion for anything other money; the undoubtedly ability to make a banger and ride a beat, and most of all, that pure, raw rap hunger. In true Maybach Music Empire style, the mixtape was followed by a surge of supporting videos, tours, features and even if you weren’t converted, there was no way you could’ve ignored the fella ‘cos he just seemed to be everywhere. There has been a lot criticism about the Maybach empire and whether they can be consistent over a long period of time, but no matter how you feel about Mill, and his label compatriots, the work this group has put in in the past year has been stellar. 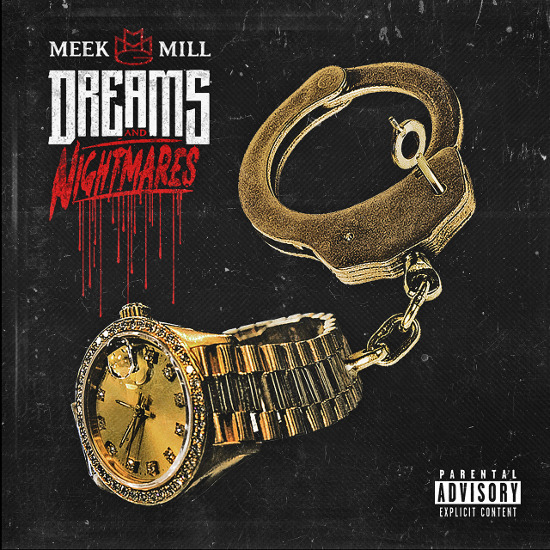 From Wale’s Ambition to Rick Ross’ God Forgives I Don’t to Meek’s Dreamchasers series, their individual and collective tours and now 2012 culminating with the release of Mill’s Dreams and Nightmares. All the talk about Meek’s strengths as an artist and all the talk about his inability to come up with non-generic content and whether he can stand on his own have resurfaced and present themselves to us in the form of this album. It’s crunch time now… How does album compare to its predecessors? How will it perform in terms of sales? Will it be a victim of audience apathy as a result of Kendrick’s Good Kid M.A.A.D City, as every album released this year has now been? Dreams and Nightmares is officially out on iTunes and is sure to be available in hard copy in the coming weeks. It features the likes of Nas, fat man, Wale, Trey Songz, Drake, John Legend, Louie V, Kirko Bangz, and Mary J. Blige. For those of you who care, make sure you cop it and let us know what you think. Ross Jack – the exclusive!